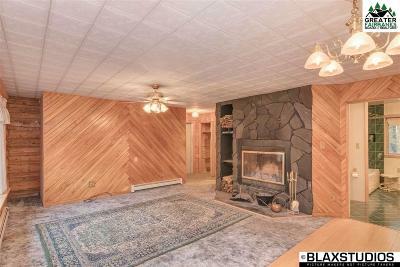 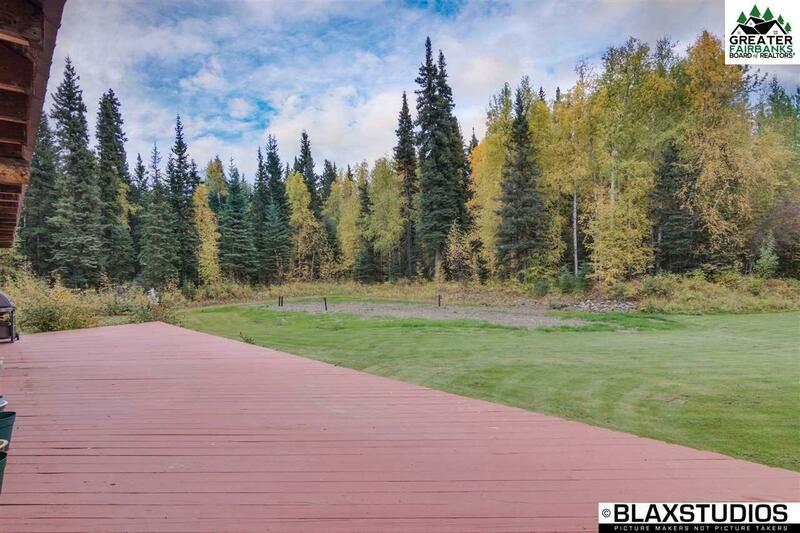 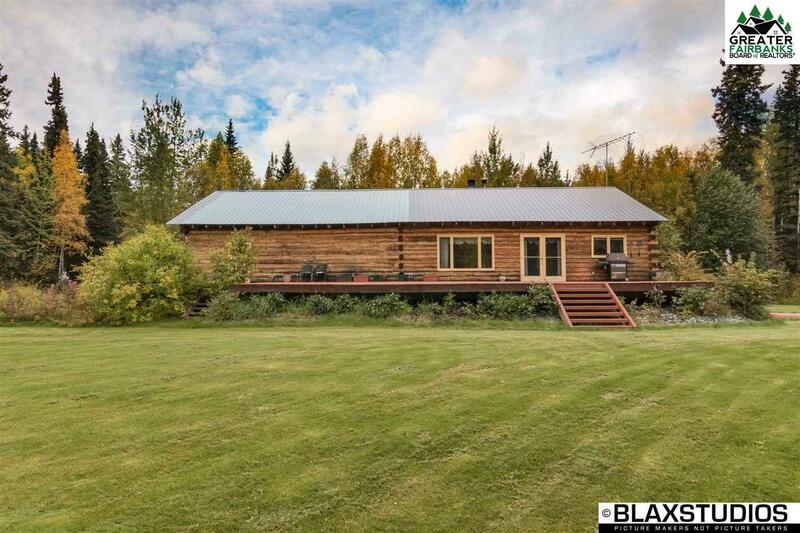 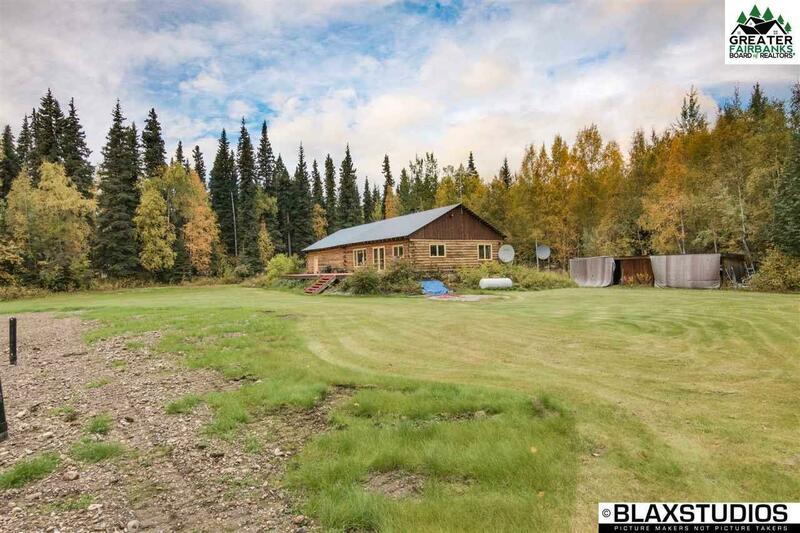 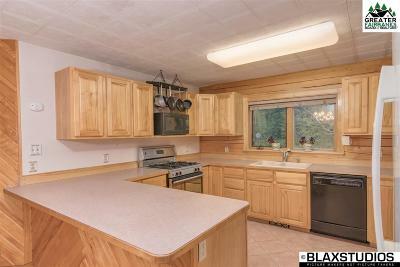 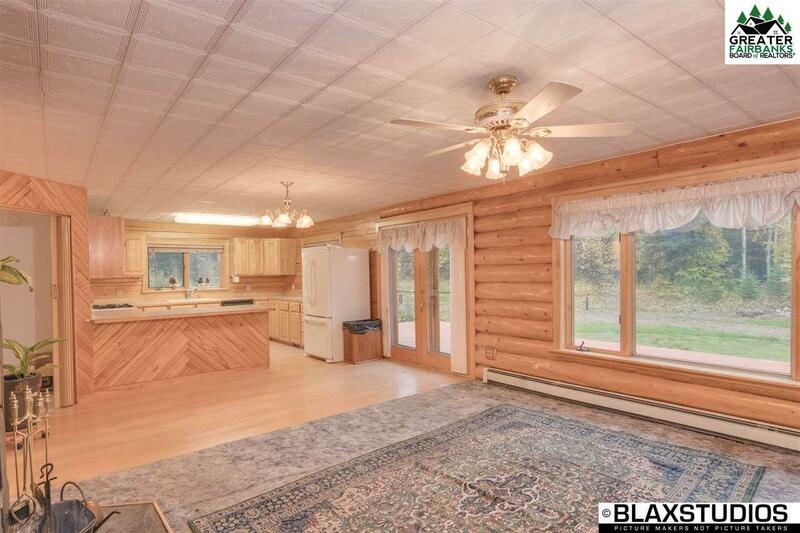 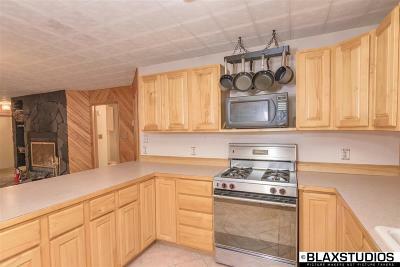 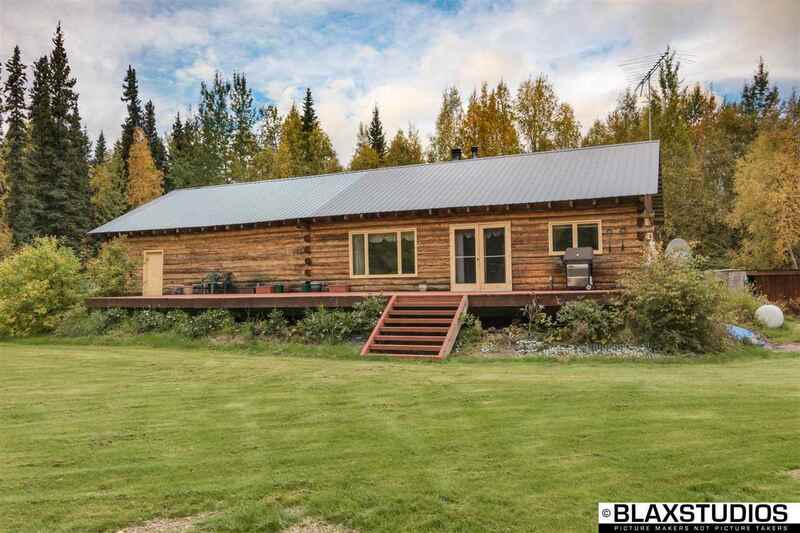 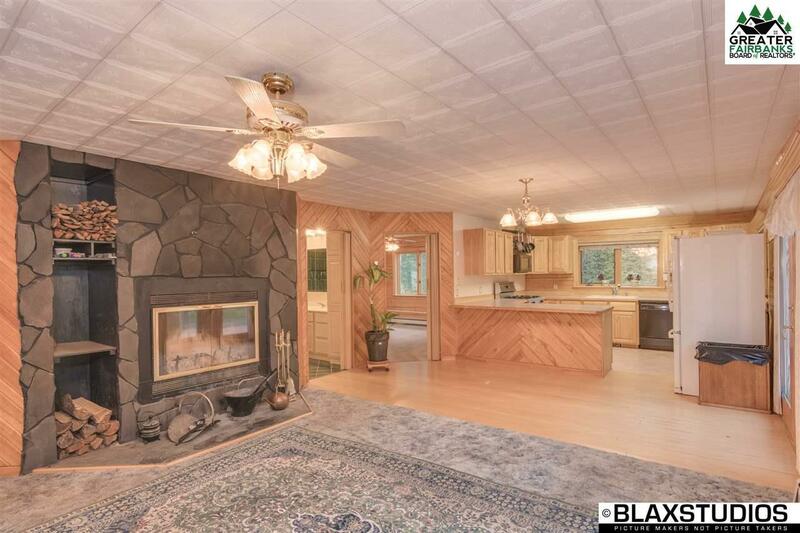 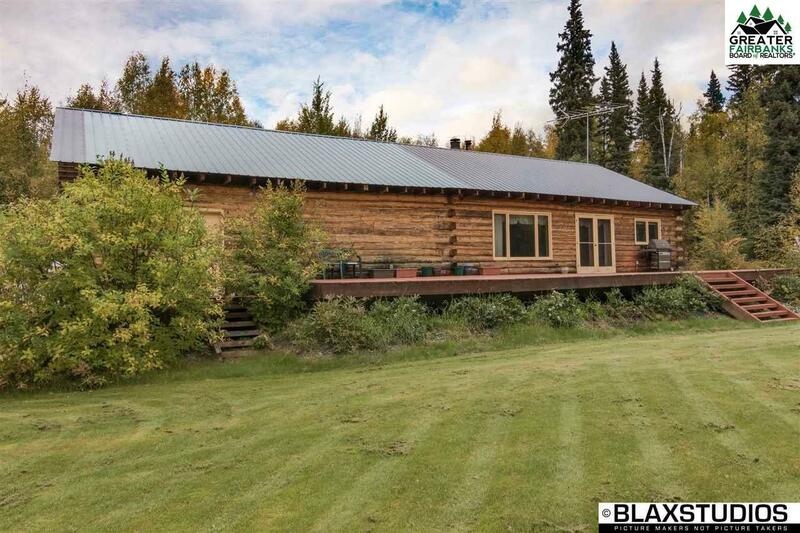 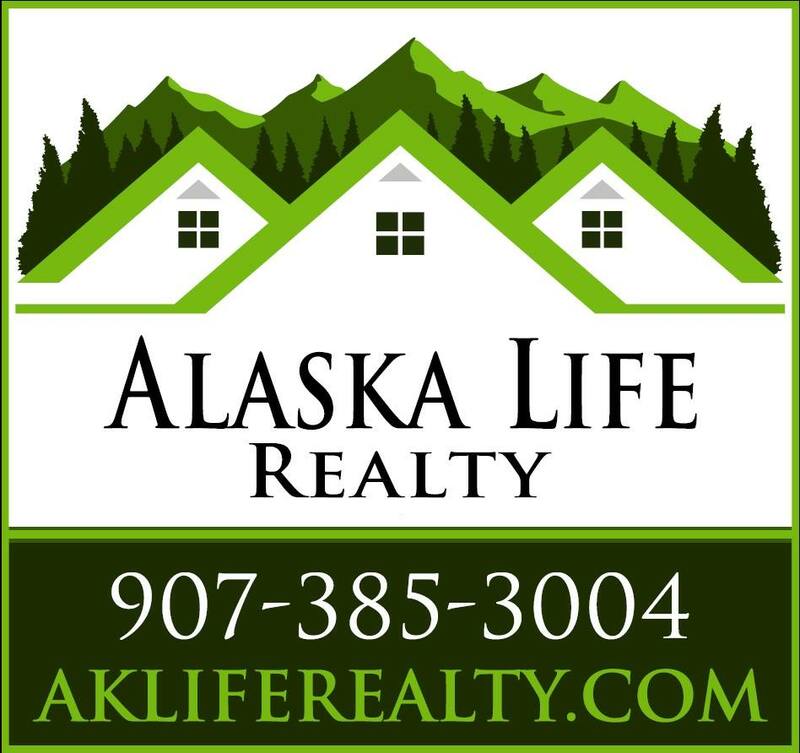 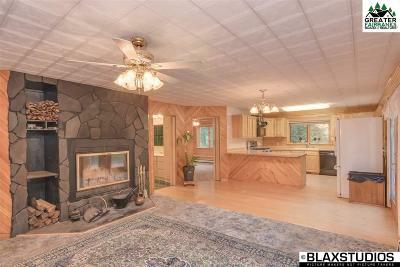 Tucked into the woods, there is a wonderful log home that is ready for you! 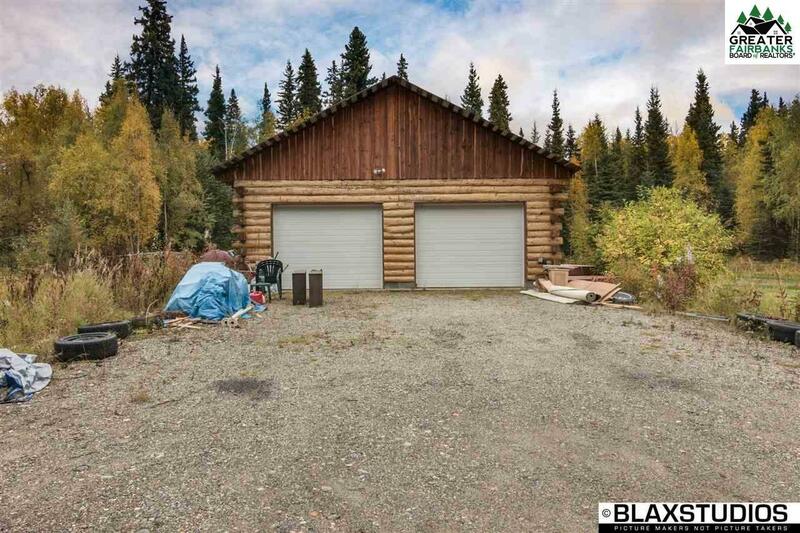 The large garage is big enough for a truck with a plow. 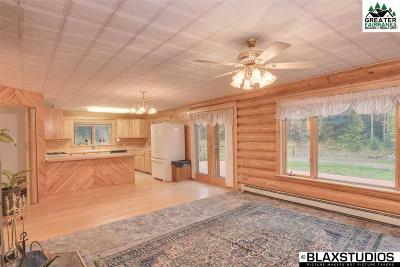 The living room is open to the kitchen. 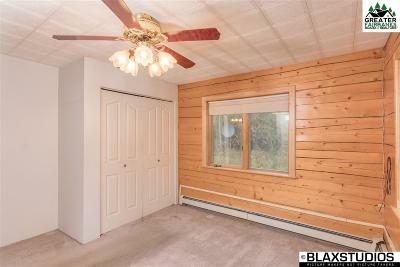 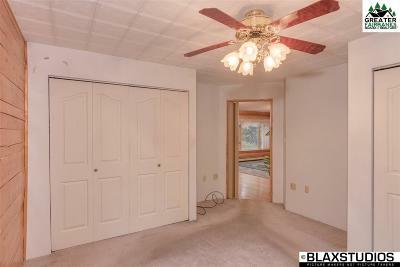 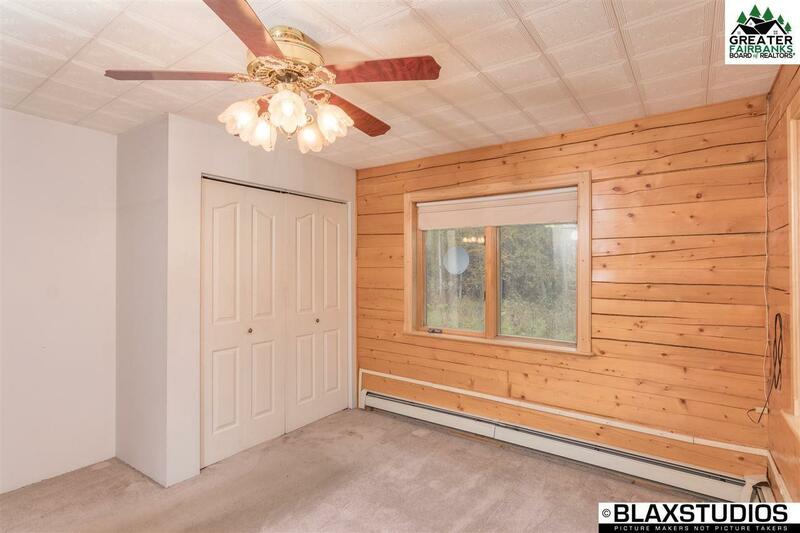 The windows all have beautiful crown molding. 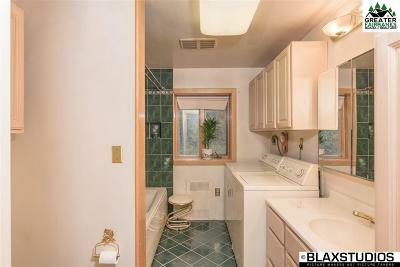 The bathroom is centrally located in the house and features a jetted tub. 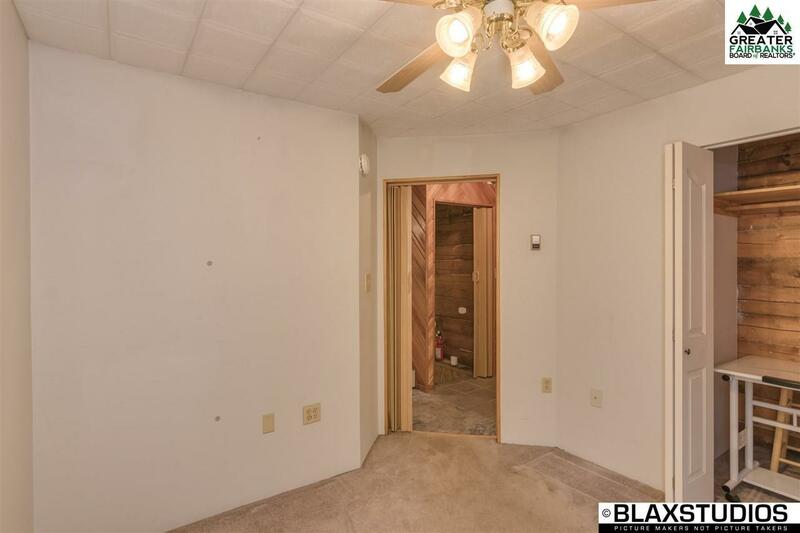 Both bedrooms are big. 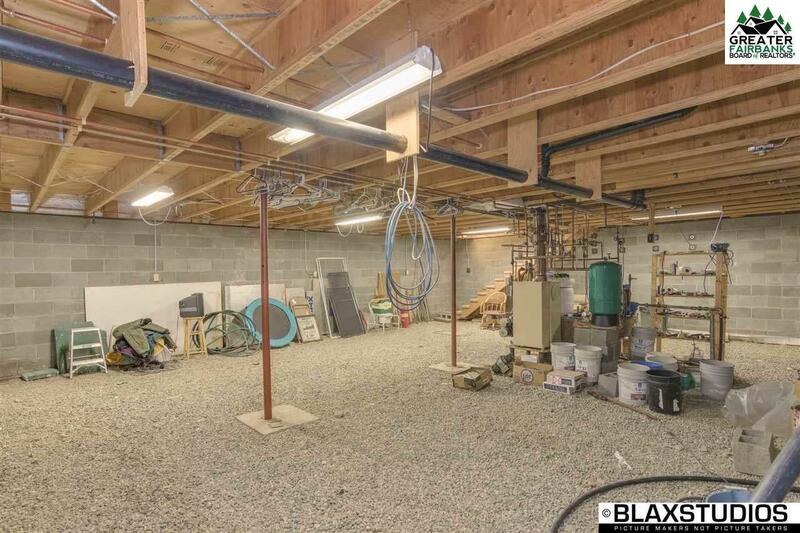 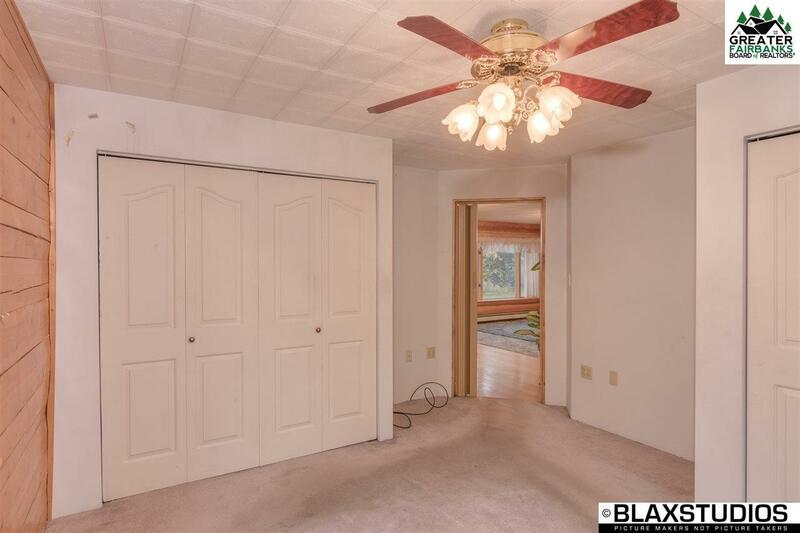 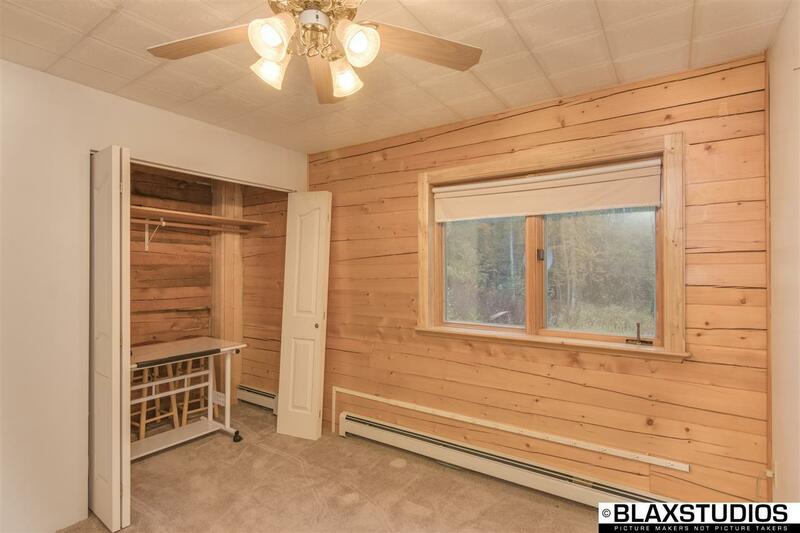 Downstairs, there is an unfinished basement that is perfect for storage, crafts, or anything you would want to do with the space. 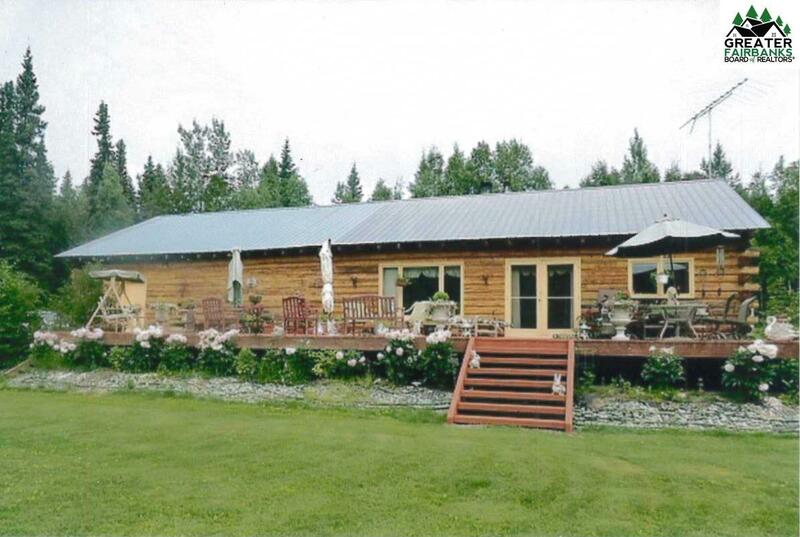 The back deck is a wonderful place to spend your afternoons looking over the beautiful lawn. 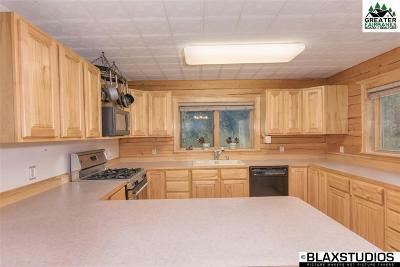 The seller states that she has the best water in Salcha.